There are certain cancer cases where surgery, chemotherapy and conventional photon radiotherapy are inappropriate treatment alternatives. In such cases, Proton Beam Therapy could just be the perfect option. s in proton therapy can be directed and deposited in tissue volumes designated by the radiologists and radiotherapist in a three-dimensional pattern from each beam used. This capability provides greater control and precision and therefore, superior management of treatment. Proton (p, 1H+) is a subatomic particle which has a relative charge of +1, 1.007593amu (atomic mass unit), a mean square radius of about 0.8fm and an approximate energy equivalent (MeV) of 938. It is simply a hadron composed of 3 valence quarks: two up quarks and one down quark which are held by strong forces which are mediated by gluons. All these properties make protons highly suitable for therapy. Generally, protons possess large masses. Due to their large masses, they tend to produce little lateral side scatter in the tissue; the beam does not broaden much, stays focused on the tumour shape and delivers only low-dose side-effects to surrounding tissue. As the protons move through the body using the pencil beam scanning technology, they slow down, causing increased interaction with orbiting electrons. Maximum interaction with electrons occurs as the protons approach their targeted stopping point. Thus, maximum energy is released within the designated cancer volume. The surrounding healthy cells receive significantly less injury than the cells in the designated volume. As a result of protons’ dose-distribution characteristics, the radiotherapist can increase the dose to the malignant tumour while reducing the dose to surrounding normal tissues. This allows the dose to be increased beyond that which less-conformal radiation will allow. The overall effects lead to the potential for fewer harmful side effects, more direct impact on the tumour and increased tumour control. The patient feels nothing during treatment. The minimized normal-tissue injury results in the potential for fewer effects following treatment, such as nausea, vomiting or diarrhoea. 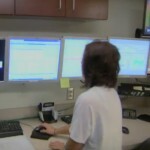 The patients’ experiences a better quality of life during and after treatment. ular injury is frequently inferior. As a result, cancer cells sustain more permanent damage and subsequent cell death than occurs in the normal cell population. This permits selective destruction of bad cells growing among good cells. Proton beam therapy is generally preferred to the conventional photon radiotherapy because there is decreased dose to normal tissues and perfect localisation of beam to the site of the tumour. Reduced side effects and complications. Treating tumours close to critical organs like the spinal cord. Ability to retreat tumours after recurrences. Increasing safe dose delivered to the tumour. Unlike x-rays, protons can treat cancers at complex locations and can also be manipulated to release their energy only when they reach their target which strongly suggests high level treatment accuracy. Recent researches have reported that over 90 percent of patient treated with proton therapy presented positive results and also believe they made the right decision. According to the World Health Organisation, about 70% of all cancer deaths occurred in low- and middle-income countries. It has also been estimated that deaths from cancer worldwide will rise to over 13.1 million in 2030. Consequently, it is imperative that proton therapy is considered in the treatment of patients presenting with malignant tumours as this form of radiotherapy offers high level accuracy and has also been effective in the palliation of cancer and extermination of neoplastic tissues. This article also suggests the pressing need to build a proton therapy center in Africa so that Africans suffering from cancers can be conveniently and comfortably treated within the continent. 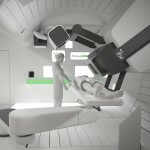 This project is quite feasible as a standard proton therapy center can be built with just $150 million. The proton therapy center will not just reduce death rates resulting from cancers across Africa, it will also provide meaningful employment opportunities for medical practitioners and allied health professionals. Varian.com. 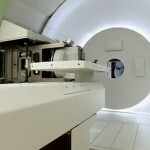 Proton therapy Overview. [Cited 14 April 2013]. Pennmedicine. Proton Therapy treatments and radiation oncology. [Cited 14 April 2013]. 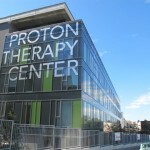 Proton therapy.org. How Proton Treatment Works. [Cited 14 April 2013]. Wikipedia, the free encyclopaedia. Proton therapy. [Cited 14 April 2013]. WHO- Cancer. [Cited 14 April 2013].